You will earn 35 Catt credits for buying this product. Lucy Sewill has photographed some of our most familiar and well loved faces and become known for her particular style of one-on-one personal portraiture. Her work has hung in the National Portrait Gallery and on other prestigious walls. In this remarkable new collection of her work, Lucy turns her lens to the animals that she has loved her whole life, revealing the amazing bond that they have with their owners and handlers. A project that takes her across Britain, to Ireland, the United States and North Africa, Lucy strips away physical and mental clutter to take a series of intimate portraits that give the reader a glimpse of what goes on in the minds of these magnificent creatures. 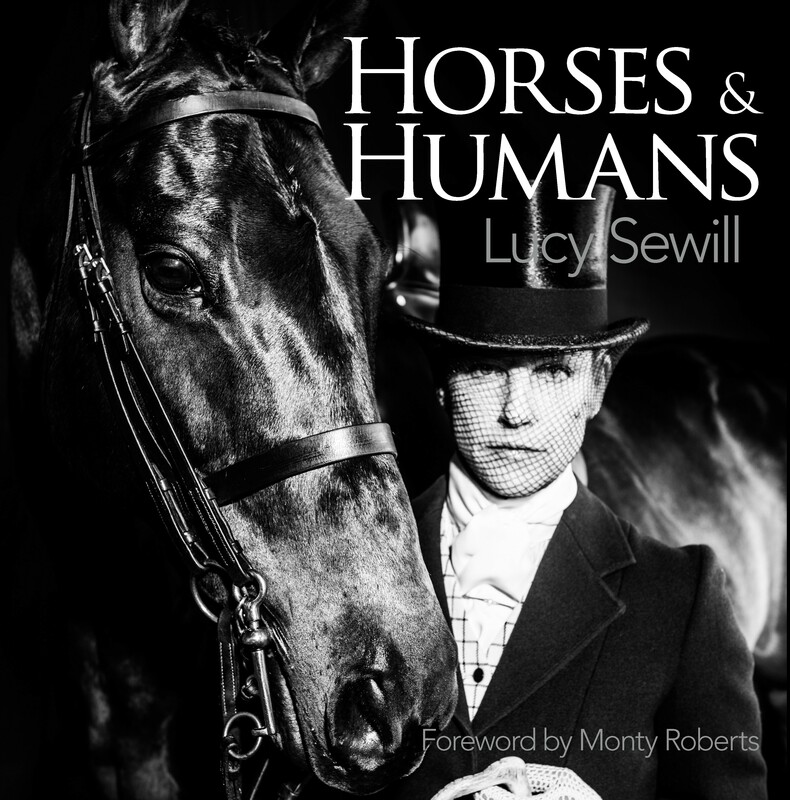 Lucy's subjects include: Monty Roberts, "the Horse Whisperer"; Richard Waygood MBE, trainer, Team Manager and chef d’Equipe for the British Olympic dressage team; Sir Edward Cazalet, retired High Court Judge who spent his formative years growing up in the Queen Mother’s training yard; Heather Jansch, leading contemporary sculptor with established worldwide reputation for life-size driftwood bronze horses; and Claire Brougham, top British polo player. Lucy Sewill is a photographer best known for her perceptive portraits of major British celebrities, with her specialism being one-on-one informal portraiture. Her work has been published world-wide and is held in the collection of the National Portrait gallery, she is commissioned by major publishing houses, national institutions and magazines. Her work has been most recently exhibited at the Getty Image Gallery, the National Portrait Gallery, Glastonbury Festival, and the Ivor Novello Awards. Her most recent major publication was ‘100 Years Of British Music’ for which Lucy was exclusively commissioned by the PRS to record some of the last century’s major musical contributors. Amongst the faces she has captured are Dame Edna Everage, Terry Wogan, Boris Johnson, Andrew Lloyd Webber, Phil Collins, David Cameron, Dizzee Rascal, Bob Geldof, Tony Benn, Kate Adie, Tim Rice, Mark Knopfler, and Ray Davies. There are many others. Horses and Humans is the most personal of her works to date using her pictures to explore the significance of horses in her own life and in the lives of others.